For far too long, the Western world viewed Africa as unmappable terrain—a repository for outsiders’ wildest imaginings. This problematic notion has had lingering effects not only on popular impressions of the region but also on the development of the academic study of Africa. 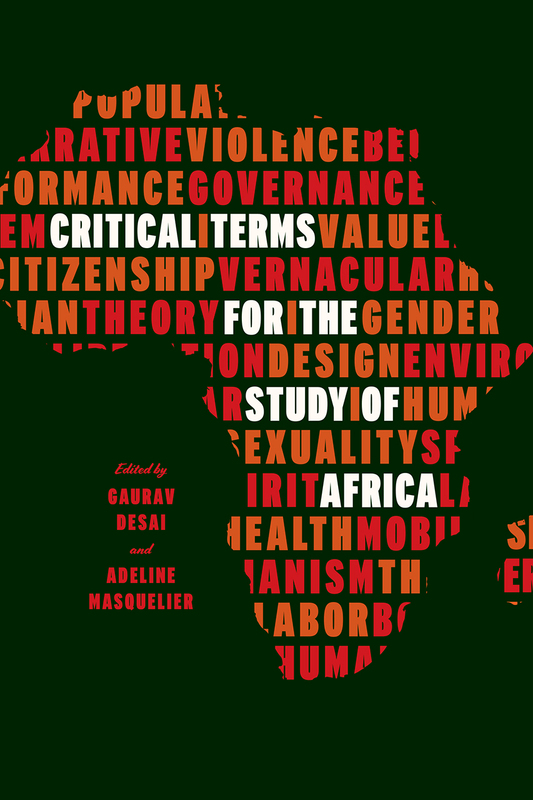 Critical Terms for the Study of Africa considers the legacies that have shaped our understanding of the continent and its place within the conceptual grammar of contemporary world affairs. Written by a distinguished group of scholars, the essays compiled in this volume take stock of African studies today and look toward a future beyond its fraught intellectual and political past. Each essay discusses one of our most critical terms for talking about Africa, exploring the trajectory of its development while pushing its boundaries. Editors Gaurav Desai and Adeline Masquelier balance the choice of twenty-five terms between the expected and the unexpected, calling for nothing short of a new mapping of the scholarly field. The result is an essential reference that will challenge assumptions, stimulate lively debate, and make the past, present, and future of African Studies accessible to students and teachers alike.